Poland’s miners understandably don’t want their jobs to be sacrificed on the questionable altar of the UN’s climate ideology. A government-backed trade union conference in Katowice this week puts mining jobs on the agenda of climate change negotiations, says Climate Change News. Poland’s trade unions are mounting a defence of coal workers against the impacts of climate policies in a government-backed conference this week. 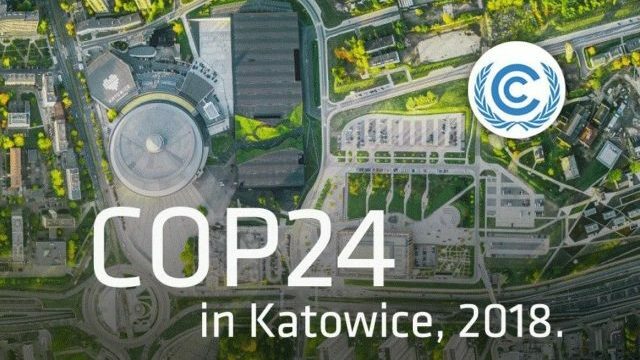 The “social pre-cop” meeting is an effort to influence the agenda of Cop24, the UN climate summit to be held in the same city of Katowice this December. Its line-up is dominated by mining and industrial unions. Cop24 president and government minister Michał Kurtyka is due to speak, as well as other unconfirmed government representatives. The event carries Polish president Andrej Duda’s stamp of approval. An advance statement signed by three workers’ associations calls for an analysis of the costs and jobs impact of climate policies, and a “dialogue” at UN level between politicians, investors, employers, scientists and trade unionists. Without naming coal, it invokes national sovereignty and fairness arguments to shift debate in the industry’s favour. One proposal is to exempt the most efficient plants in each industry from carbon pricing. In the EU carbon market, coal power stations face higher costs than other generators because their emissions are substantially higher. “All energy carriers should be treated equally especially in the field of scientific research aimed at improving the efficiency of their energy production. Each state for the sake of its safety and sovereignty should be able to produce energy from the fuels owned on its territory in order to ensure cheaper heat and electricity for its economy,” the statement says. Coal is the dirtiest source of electricity and several countries have committed to phase it out to slash their greenhouse gas emissions. The consultancy Climate Analytics argues the EU needs to end coal use by 2030 to align with the global warming limits in the Paris Agreement. At the same time, the fuel dominates Poland’s energy mix and supports tens of thousands of jobs. While the country is starting to develop clean alternatives such as wind power, the shift to a greener economy threatens to disrupt communities built around mines. The Katowice summit in December will shine a spotlight on a tension that is playing out in many other parts of the world, including neighbouring Germany. I trust that these Trade Union representatives place firmly on the agenda that intermittent power generation MUST have adequate storage capacity if reliable energy is to be provided. Currently and in the foreseeable future, coal is a major contributor to this storage requirement and at a cost very considerable less than others being envisaged. Any legislation which seeks to remove coal from the equation without ensuring cost effective replacement would be totally irresponsible. The huge projected costs of alternative storage facilities should be made very evident. Sadly any appeals on the basis of disastrous job losses and community breakdown will probably fall of deaf ears in the corridors of Cop24 such is the mindset of the delegates involved. 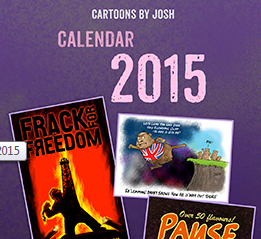 Coal vs ‘climate apocalypse’? 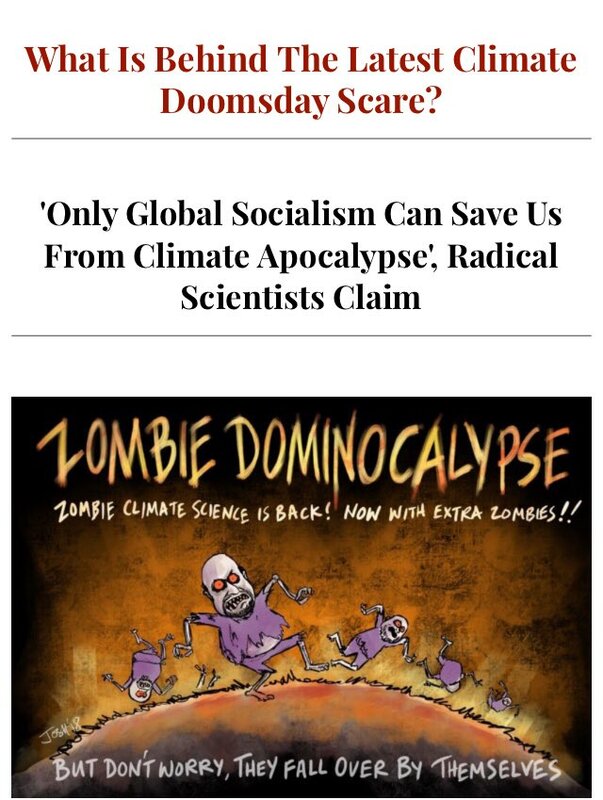 Another day, another risible Hollywood climate scenario to laugh at. Maybe they will do it again, after all it was the unions that dumped the Polish communist government. They could end up dumping this UN stupidity of unreliable energy for all and returning the developed countries back to cheap, reliable, energy for all.